Last weekend was my dad's birthday and our family converged on the 'Norf' to celebrate. By conventional standards this was one of those 'big birthdays' although given my dad insists he stopped counting when he hit 40 we'll call this his '40th'. 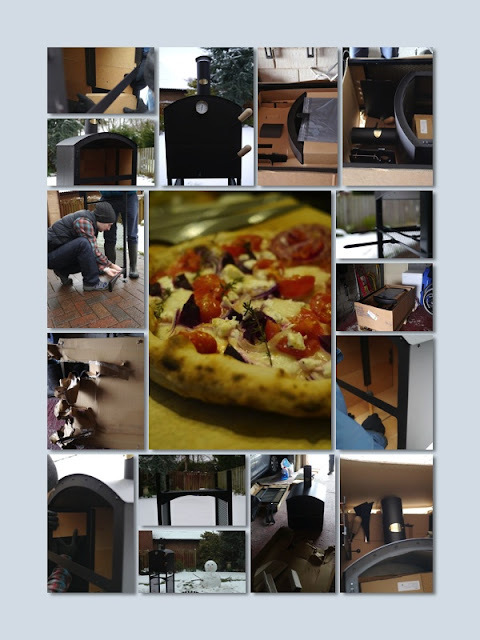 My brother and I had big plans this year and for a while had it in mind that we'd treat him to an outdoor oven. A pyromaniac at heart we knew he'd like this and over the years we've had many a family gathering, come rain or shine with the BBQ at the centre. You may notice a striking resemblance to Bertha and that's no surprise given he's from the same, excellent, Garden Oven Company. He arrived on a pallet on the Friday and by Saturday lunchtime he was fired up and ready to cook his inaugural batch of pizzas. That's even factoring in the best efforts of a hapless forklift driver, who along the way had gauged huge holes in the box and lost a couple of parts, still, it's amazing what you can do with a cable tie. Building a Billy from MyPerfectPizza on Vimeo. Note: Thanks again to Jay at the Garden Oven Company, who not only sorted out the order and a custom engraving but also drove to my parents' to replace the parts chipped in shipping, how's that for customer service!